A preview of the Kickstarter-funded work celebrated in the London institution’s stunning new space. Drawing from its permanent collection, the Design Museum will unveil a landmark new exhibition that explores the interplay between designers, manufacturers, and users, emphasizing the increasing overlap in these roles. This relationship is central to our mission as well, and a video created for the exhibition explains how designers use Kickstarter to explore bold ideas, pursue creative independence, and share their process with a community of backers who want to help make it happen. Paul Cocksedge’s compact audio amplifier turns old stereo speakers into portable wireless sound systems. By breathing new life into products that were destined for the landfill, he makes a compelling case for sustainability while leveraging the aesthetic charm of mixing and matching vintage designs with modern tech. Bare Conductive’s Electric Paint allows makers of all ages to get creative with circuits by swapping soldering irons for pens, brushes, and stencils. The London-based team took this mission to a new level with the Touch Board, an open-source, Arduino-compatible toolkit that makes it easy to add light, sound, and interactivity to papercrafts, walls, and just about anything else. 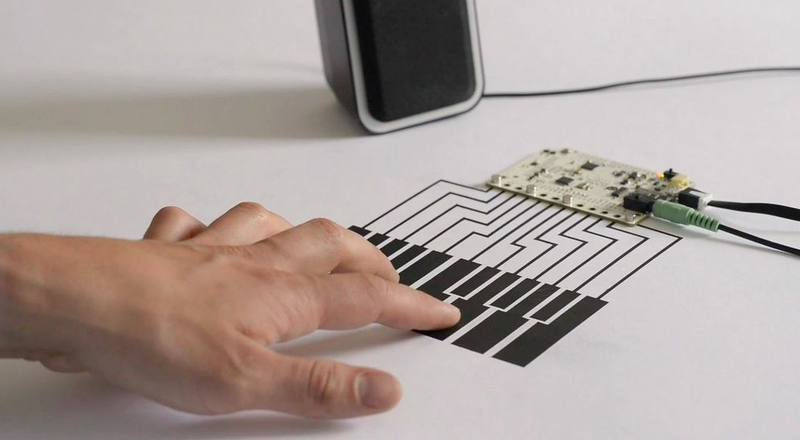 Like many DIY-oriented designs launched on Kickstarter, Bare Conductive’s work is significant for what it enables others to do — truly blurring the lines between designer and user. Emily Brooke came to Kickstarter in 2012 with a bright idea: cyclists could project a bike lane symbol in front of them to alert drivers to their presence at night. Now her Blaze Laserlight is making the streets safer, not just for individual riders but for all of London, having recently been added to the city’s fleet of Santander shared bikes. This model of a community-supported project becoming a civic resource is something we’ve also seen with architectural projects like New York’s Lowline and London’s Thames Baths. Ushahidi is a Kenyan nonprofit devoted to crowdsourcing reports of human rights abuses worldwide. After facing the challenge of working from places without reliable electricity or internet connections, they developed BRCK, a rugged, battery-powered GSM modem that provides a backup connection in case of outages and enables off-grid internet-access. As the project’s founders say, “If it works in Africa, it’ll work anywhere” — underscoring the fact that a lack of resources can sometimes spark innovative design thinking. Kickstarter-funded projects are showcased elsewhere in the permanent collection as well, representing a variety of themes and ideas that have shaped contemporary design. Like Bare Conductive, Technology Will Save Us and Kano use playful aesthetics and friendly user experience design to make learning about technology approachable and fun. It’s phenomenally difficult to design something that’s simple to use but expansive in its possibilities, and these products masterfully balance these qualities. Creative tools are further represented with Formlabs’ Form 1 3D Printer, which made high-resolution stereolithography printing accessible in a desktop machine for the first time. You’ll find it in the workshops of many professional designers, and its inclusion in this collection is a nod to its own functional beauty, as well as the countless design prototypes it has produced. Pebble and Oculus are technological innovators that have come to define their respective fields of wearable devices and virtual reality. Both came to Kickstarter in 2012, building communities that helped get these ideas of the ground and have continued to help them evolve. Pebble has come back with two follow-up campaigns, refining the design and functionality of their smartwatches based on backers’ feedback. Meanwhile, Oculus focused their campaign on offering a development kit, sparking a dynamic VR content creation community on Kickstarter. Smog Free Tower is a large-scale air purifier designed to create clean air zones in public spaces in polluted cities so residents can breathe easy. The Lumos Helmet aims to enhance bike safety with turn signals and automatic brake lights, talking to drivers in a language they understand. BeeLine is a minimal bike navigation system designed to give riders just the information they need, letting them discover their own path from A to B.
Linda Liukas’ Hello Ruby is a charming children’s book that introduces basic programming concepts through stories and activities. Coming soon to Kickstarter, Joto is an internet-connected drawing robot that gives digital content a physical presence. These inspiring products’ inclusion in the Design Museum’s inaugural exhibition demonstrates the impact Kickstarter has had on the design world over the past seven years. They represent work by individual designers, artists, nonprofits, and startups with bold ideas that may not have found support through conventional means. And with more than twelve thousand successfully funded projects across Kickstarter’s Design and Technology categories, these examples only begin to the tell the story of how the ongoing dialogue between creators and backers is changing what new products get made, how they are produced, and who has the resources to make them. 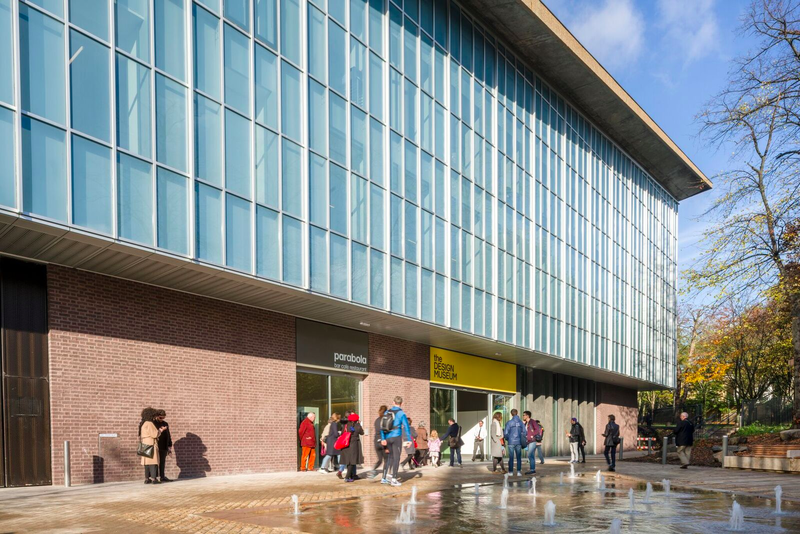 The Design Museum opens in its new location at 224–238 Kensington High Street London, W8 6AG on November 24, 2016. To stay up to date on the latest Design innovations on Kickstarter, check out Projects We Love in the category and subscribe to our Invent newsletter. We are a Public Benefit Corporation. Our mission is to help bring creative projects to life. Exploring art, tech, culture, and the creative process.